Kallie Brynn Blog: That Danish Life: Books. Get cozy with piles of books. I am 100% on the Hygge bandwagon. Enough so to start a series about it. First up: books. 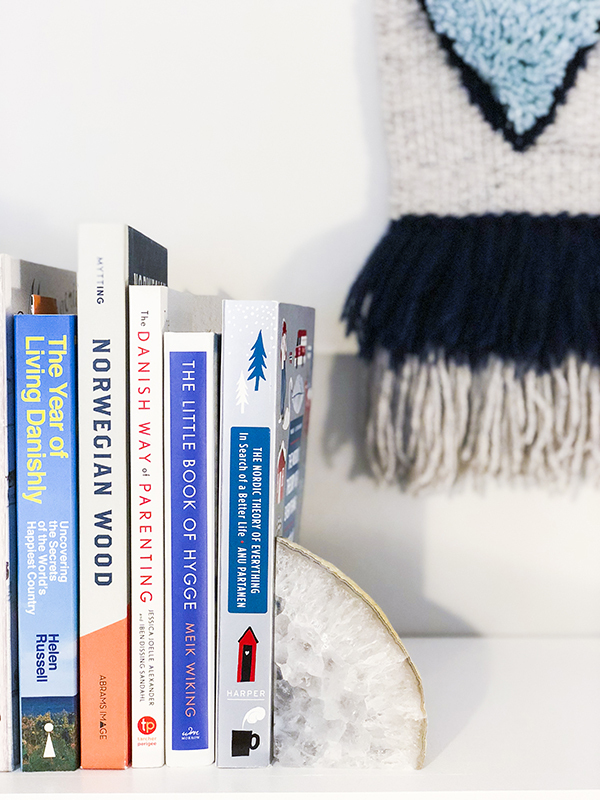 Have you read The Little Book of Hygge by Meik Wiking? If not, you should. It's the perfect start to a basic understanding of hygge. From there, I went on to read The Danish Way of Parenting by Jessica Joelle Alexander and Iben Dissing Sandahl. The chapter on no ultimatums is the best parenting advice I've read in years (seriously check out pages 116-120.) I'm currently finishing The Year of Living Danishly by Helen Russell. Some chapters, I'm ready to pack my bags and move to Denmark; and others, I settle that a trip will suffice. I’m expanding my Scandinavian reach and The Nordic Theory of Everything: In Search of a Better Life by Anu Partanen is up next on my bookshelf. I even grabbed a copy of Norwegian Wood: Chopping, Stacking, and Drying Wood the Scandinavian Way by Lars Mytting to study in preparation for using our fireplace next winter. Others on my wishlist include: Lagom: Not Too Little, Not Too Much: The Swedish Art of Living a Balanced, Happy Life by Niki Brantmark; Nordicana: 100 Icons of Nordic Cool and Scandi Style by Kajsa Kinsella; Live Lagom: Balanced Living, the Swedish Way by Anna Brones; Fika: The Art of The Swedish Coffee Break, with Recipes for Pastries, Breads, and Other Treats by Anna Brones and Johanna Kindvall; and Tasting Hygge: Joyful Recipes for Cozy Days and Nights by Leela Cyd. I'm sure there will be plenty of overlap amongst these titles, but I truly don't mind some repetition with this genre. A bonus is all of these books make quite a beautiful shelf. I’ll post updates on my reading list from time to time, and you can always catch my current read in the sidebar. I’m all in and am very much rooting for a 2019 Scandinavia expedition. I better get back to my Danish lesson on Duolingo!